Social Login is a free phpBB 3.0 extension that allows your users to login and register with their social network accounts. It increases your phpBB user registration rate by simplifying the registration process for new users and provides demograpic data retrieved from the social network profiles. Let new users sign up with one click with their social network accounts. No boring registration forms or captchas to fill out! Increase your registration rate by simplifying your registration process! The phpBB mod seamlessly integrates with your existing registration system and retrieves the user's avatars from their social network profiles. Extract all files and folders contained in the /root directory of the downloaded .ZIP file to the root directory of your phpBB. The root directory of your phpBB forum is the directory with files like for example common.php and config.php. Any existing files must be overwritten. Social Login includes UMIL and an installation script (known as a UMIF - Unified MOD Install File) that has to be used to install the module. 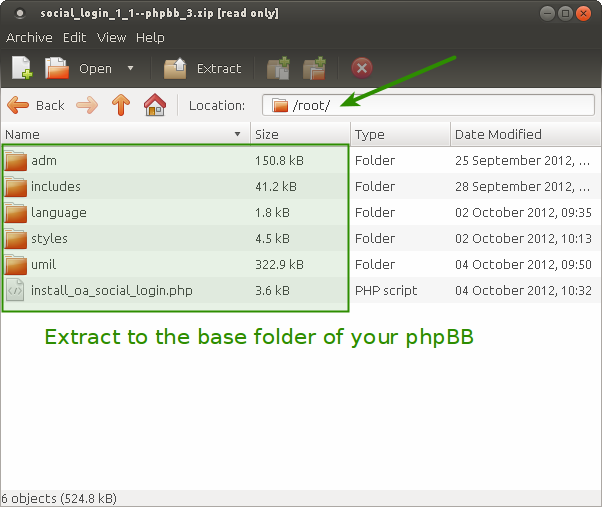 In the previous step you have extracted the file install_oa_social_login.php to the root folder of your forum. Open this file now in your browser and follow the installation steps. Open the file language/en/acp/common.php in your phpBB directory and add the following code to the end of the file. If there is a ?> tag at the end of the file, then please add the new code on a new line preceding that tag. Open the file includes/constants.php in your phpBB directory and add the following code to the end of the file. If there is a ?> tag at the end of the file, then please add the new code on a new line preceding that tag. Open the file template/overall_header.html in the template directory of your phpBB theme. If you are using the prosilver theme then the file is located at styles/prosilver/template/overall_header.html. <input name="keywords" id="keywords" type="text" maxlength="128" title="" class="inputbox search" value="<!-- IF SEARCH_WORDS--><!-- ELSE --><! Open the file template/ucp_profile_profile_info.html in the template directory of your phpBB theme. If you are using the prosilver theme then the file is located at styles/prosilver/template/ucp_profile_profile_info.html. 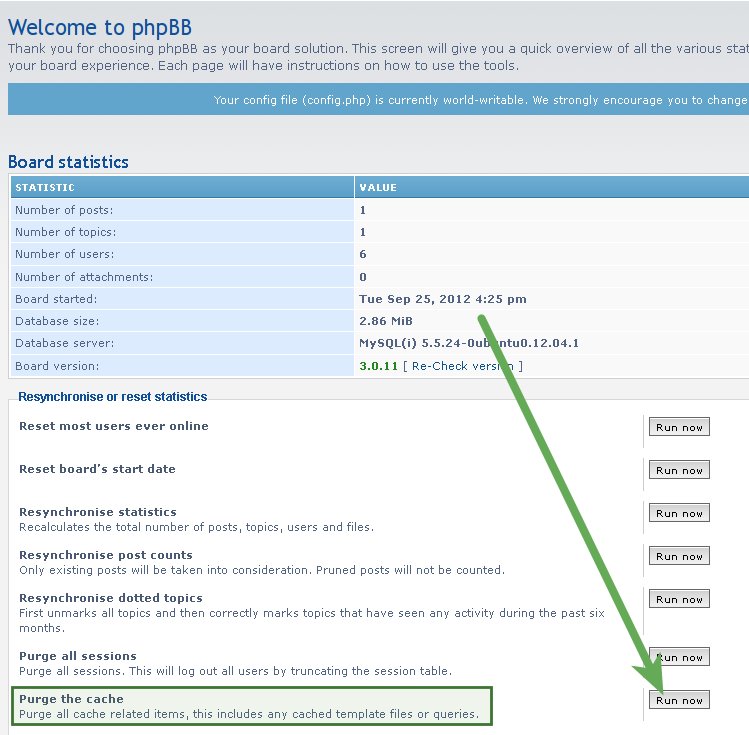 You must clear your phpBB cache after having changed your templates! phpBB features a cache system that creates static copies of the used files. One of the most common reasons that something doesn't work or a change isn't reflected is because your phpBB is displaying an old, cached version of a changed file. 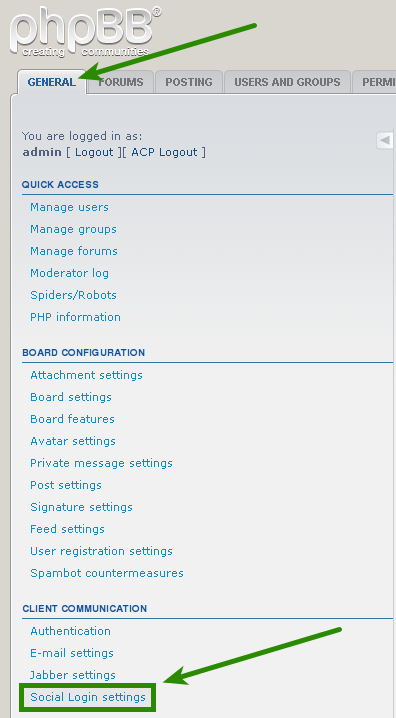 Go to your phpBB admin panel and on the index page of that area, you will see your Board statistics. Below that is an area titled Resynchronise or reset statistics. This area features a series of Run now buttons. Press the button next to Purge the cache, confirm your decision and your cache will be refreshed. 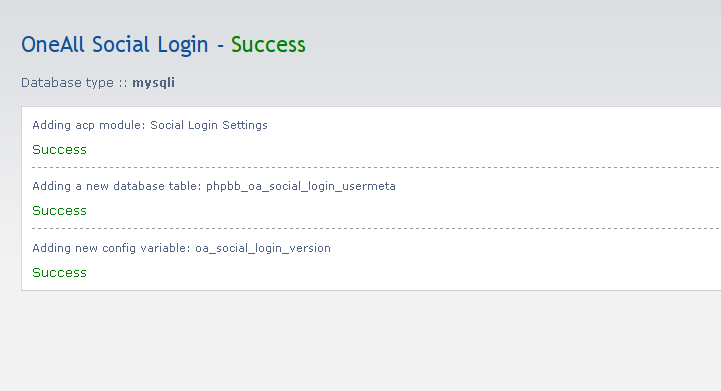 Login to your phpBB Administration Control Panel (ACP), open the General tab and click on Social Login Settings in the group CLIENT COMMUNICATION. Fill out the API Credentials and then click on the Verify API Settings button. You should receive a green success message if your credentials are correct. Select the social networks that you would like to use. Feel free to fork our phpBB GitHub repository to contribute to the development of this module.